Hiraeth is a longing for the homeland, but it is not mere homesickness. It is the bond felt for one’s home country when away from it. It can also be an intense longing for a home you can’t return to, or the sense of despair for not being able to connect to a home. 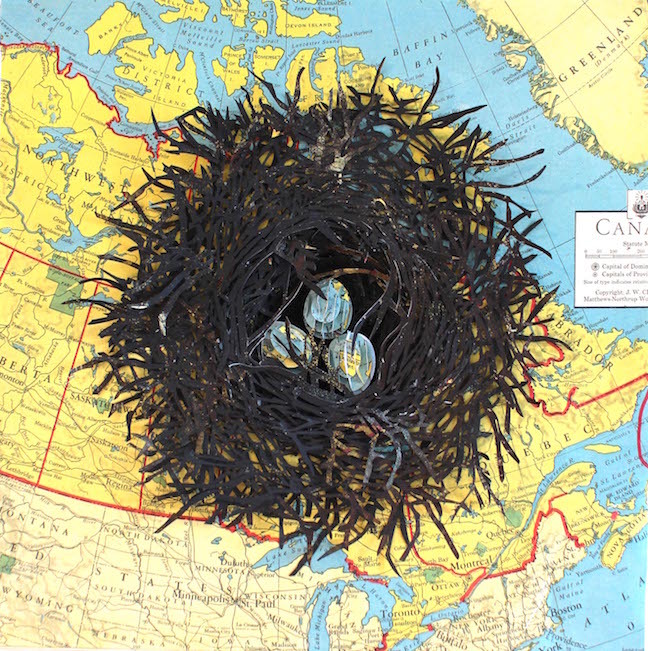 created the flashpoint of creation for these small nests on maps of the world.